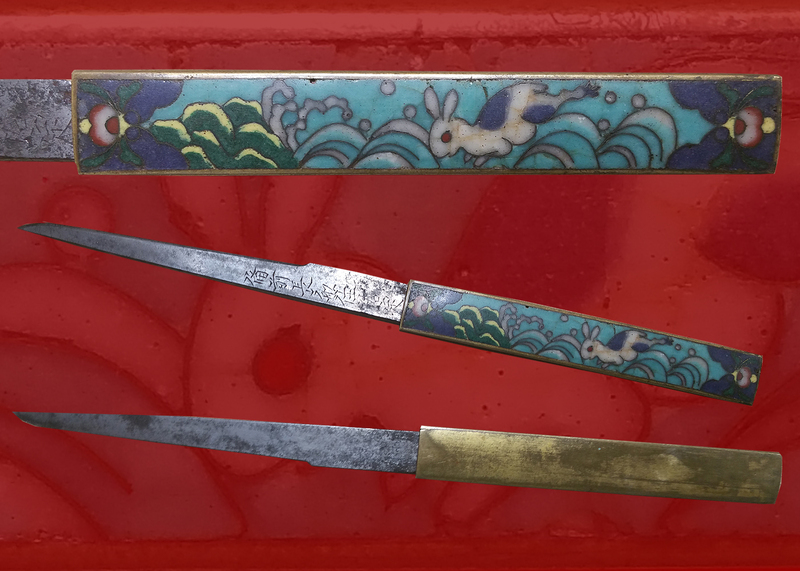 A rare wakazashi by MITSUYO also pronounced MITSUSHIRO with the pseudonym of Hata , surname Ito and is said to have originated in Yamashiro. 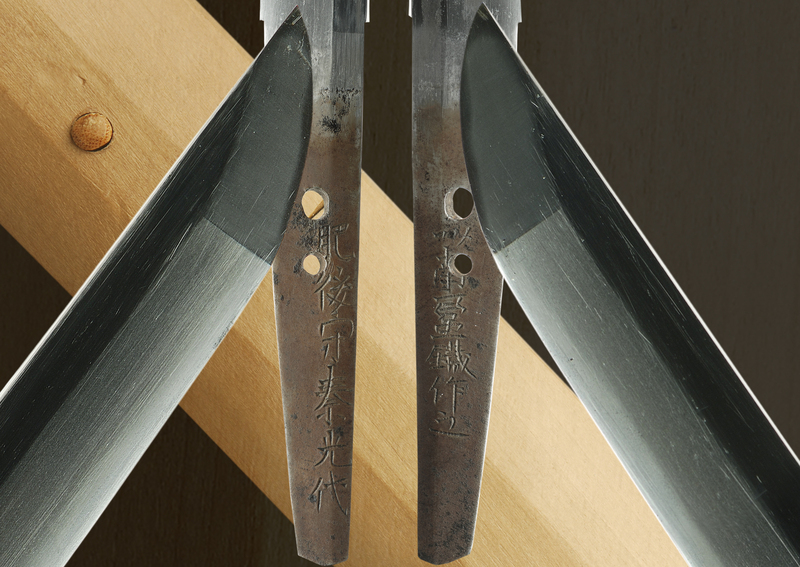 He stayed in Seki in Mino and then was adopted into the Echu-no-kami SADAYUKI in Owari where he broke off relations to become independent. 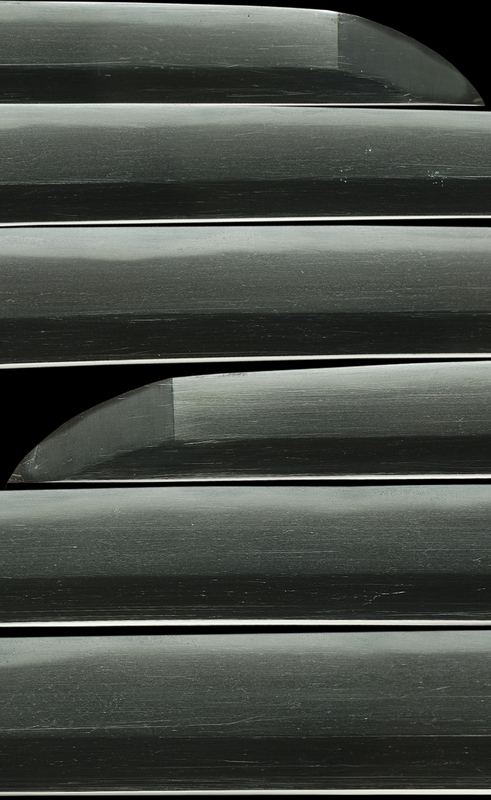 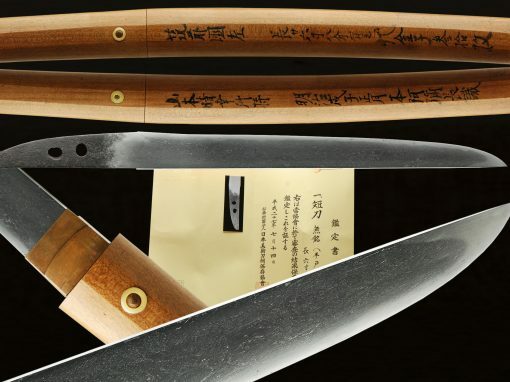 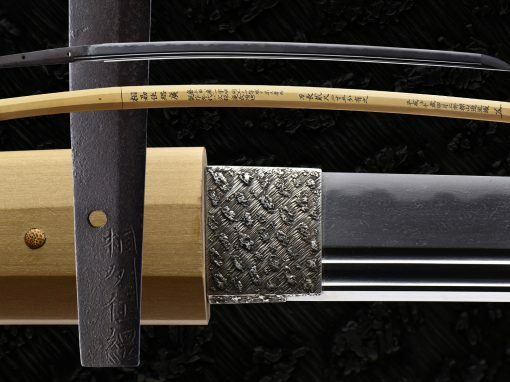 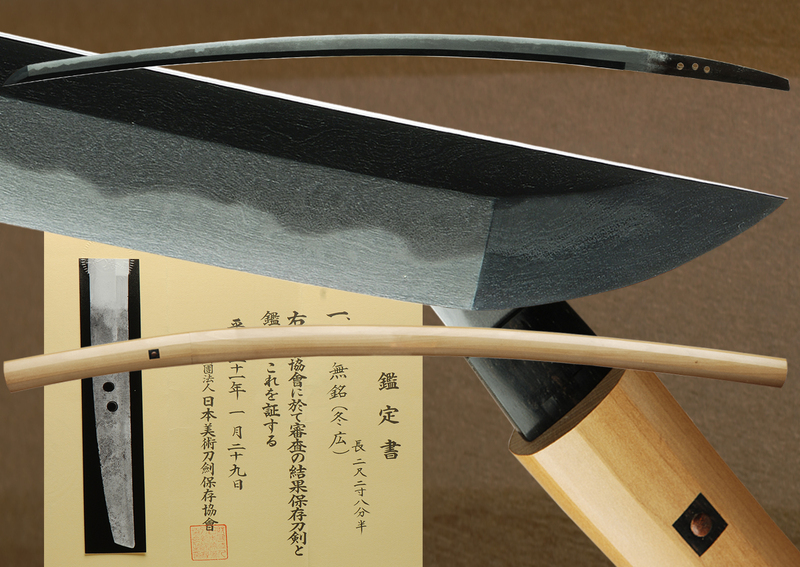 The blade is signed on both sides ” HIGO NO KAMI HATA MITSUYO” and stating that this was made with Nanbam tetsu. 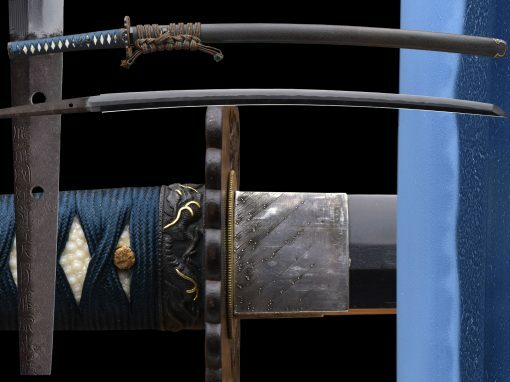 Fortune made him work exclusively for a great swordsman Yagyu-renyasai TOSHIKANE then later learned from Tsushima-no-kami TSUNEMITSU by his mediation. 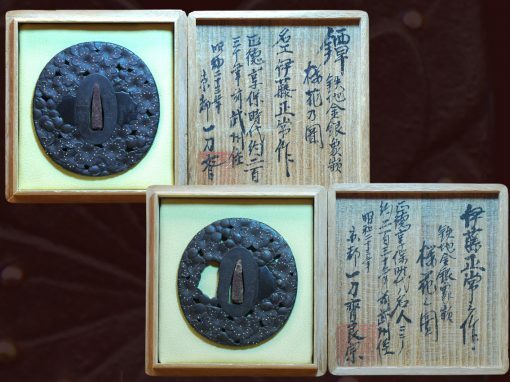 He enjoyed an official district title of Higo-no-kami that was granted by the Imperial Court during the Kanbun era (1661-), he lived in Nishi-kaji-cho (now Nishiki-2-chome, Naka-award, Nagoya) then moved to Minami Monzen-machi. 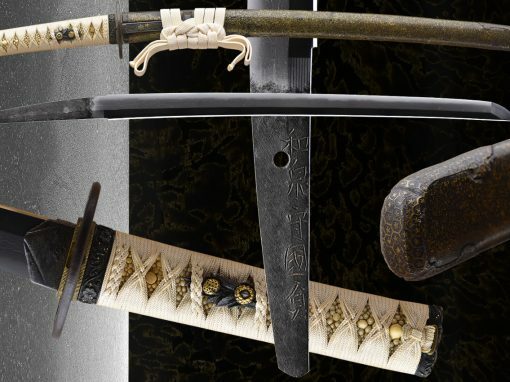 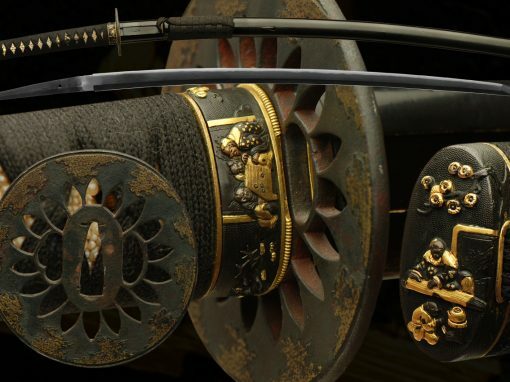 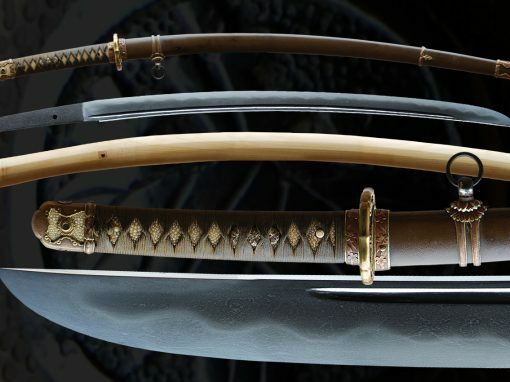 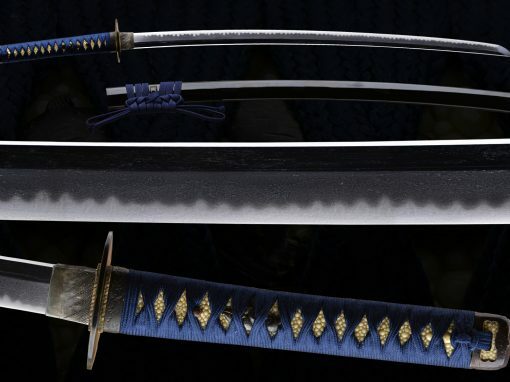 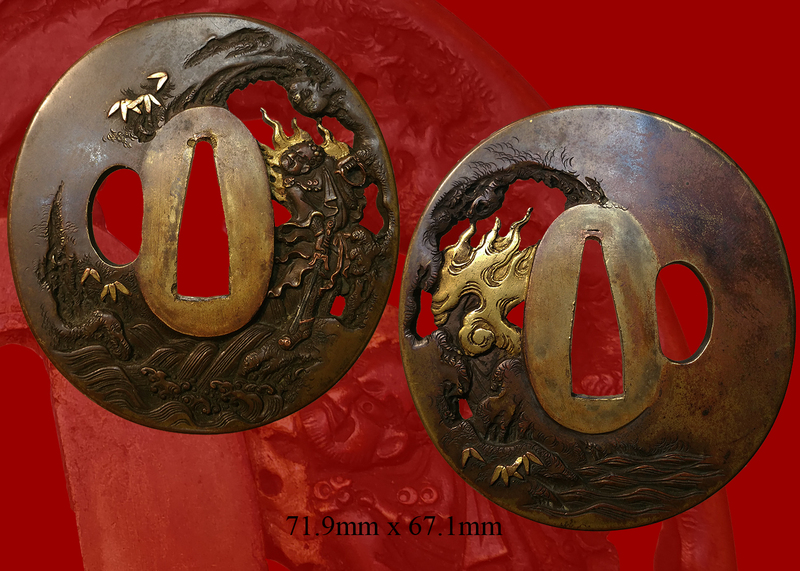 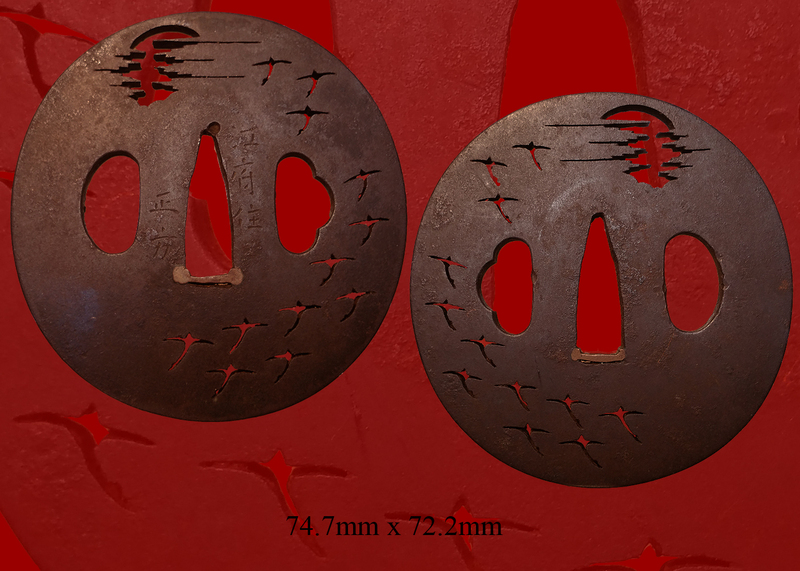 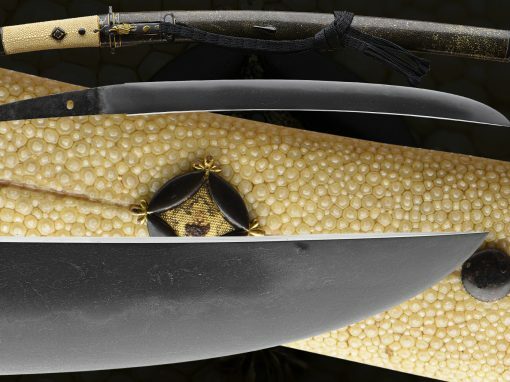 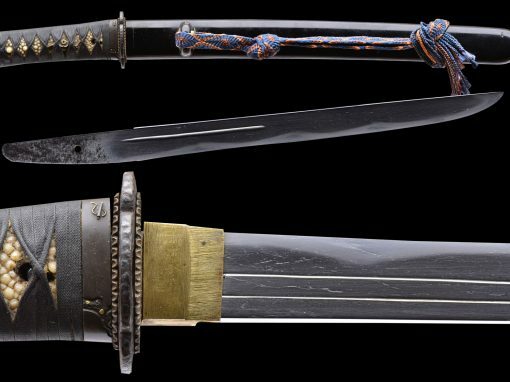 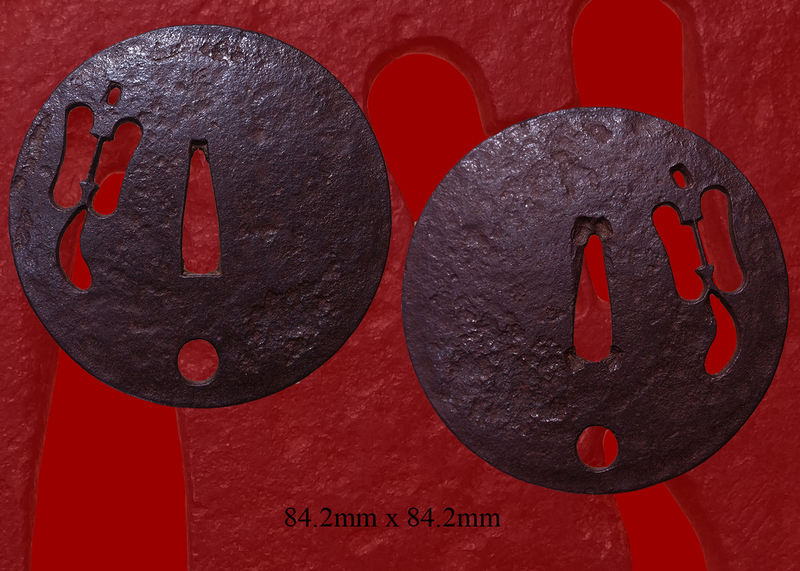 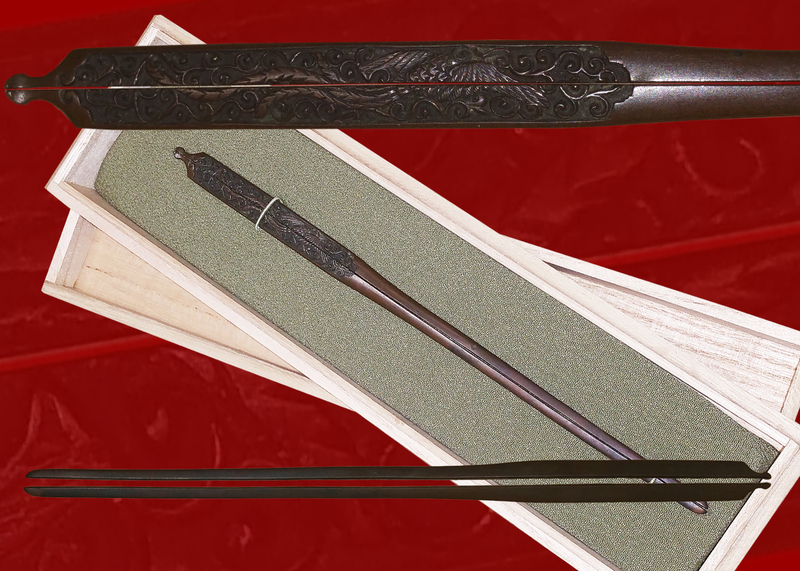 There is a well-known work by Hata MITSUYO, a wakizashi named Oni-no Houcho that was exclusively made for: Yagyu-renyu-TOSHIKANE and is his most distinguished work constructed with great pains and also the most famed Daisho-set of Kago-tsurube and Sasa-no-tsuyu which had been owed by Yagyu-renya TOSHIKANE during his lifetime. 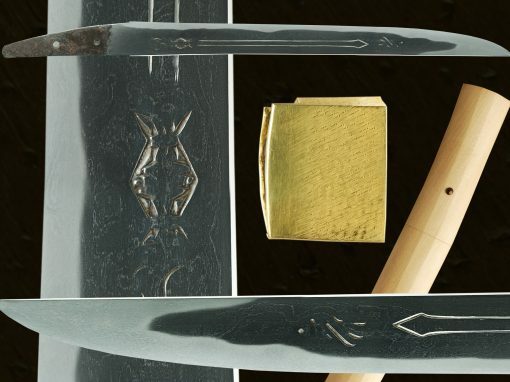 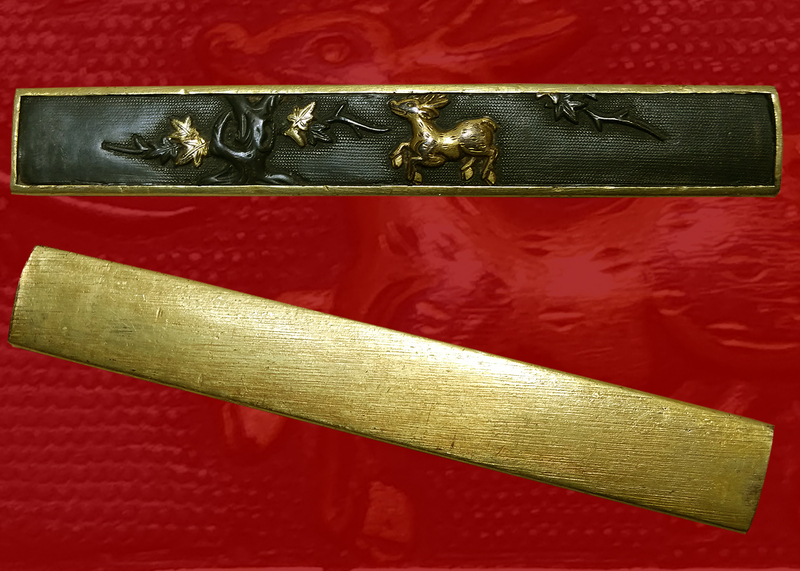 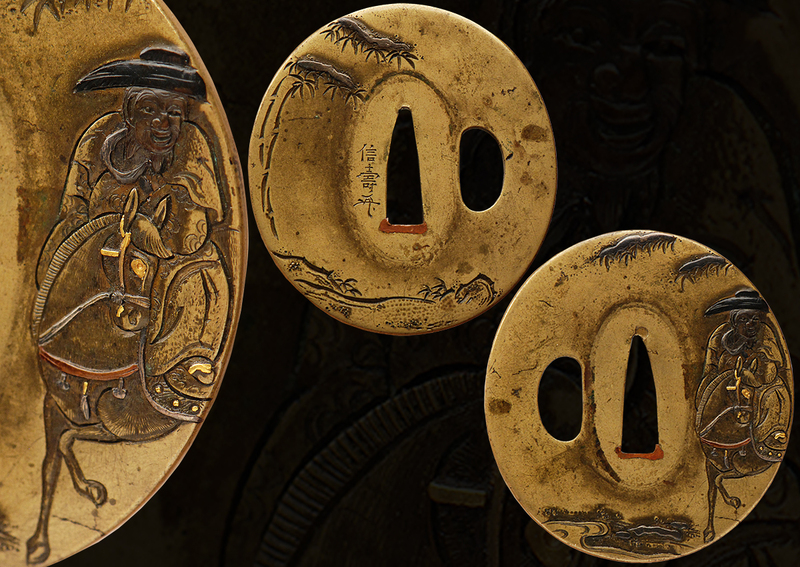 In the Tokugawa Art Museum collection, an odd shaped wakizashi work of Ito Higo no kami Hata Mitsuyo for Yagyu Toshinobu , tested to vivisect two bodies and a wakizashi of “Go YOSHIHIRO” a reproduction of the work of Tsushima-no-kami TSUNEMITSU both have been treasures of the Owari Tokugawa feudal clan and also the Owari Yagyu swordmans school. 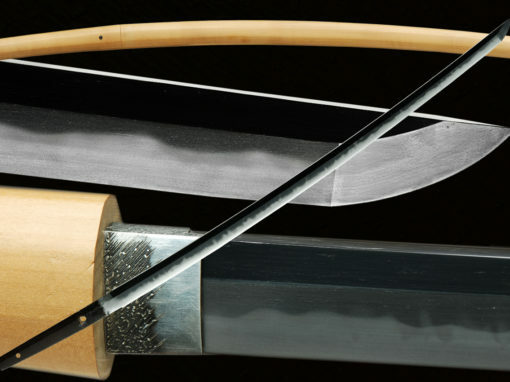 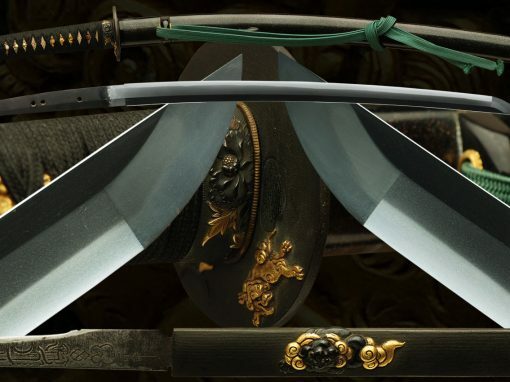 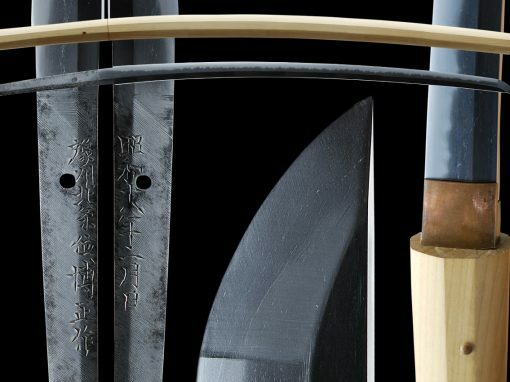 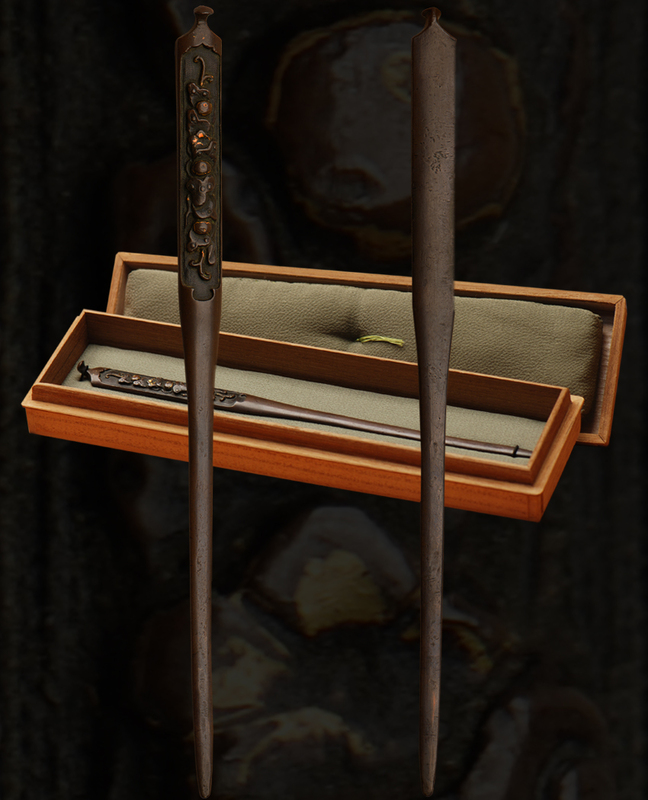 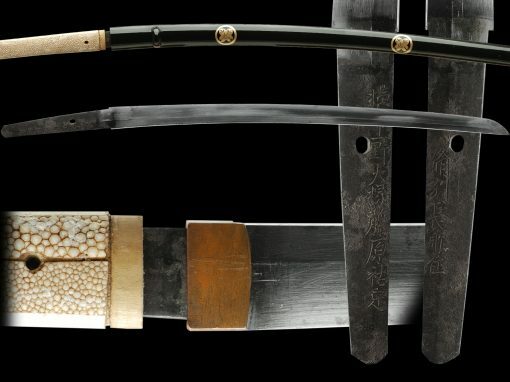 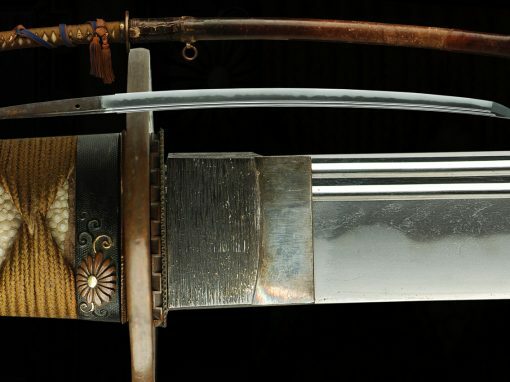 The number of extant works by the swordsmith MITSUYO is comparatively small because they were only made to order for the Owari yagyu school of swordsmanship. 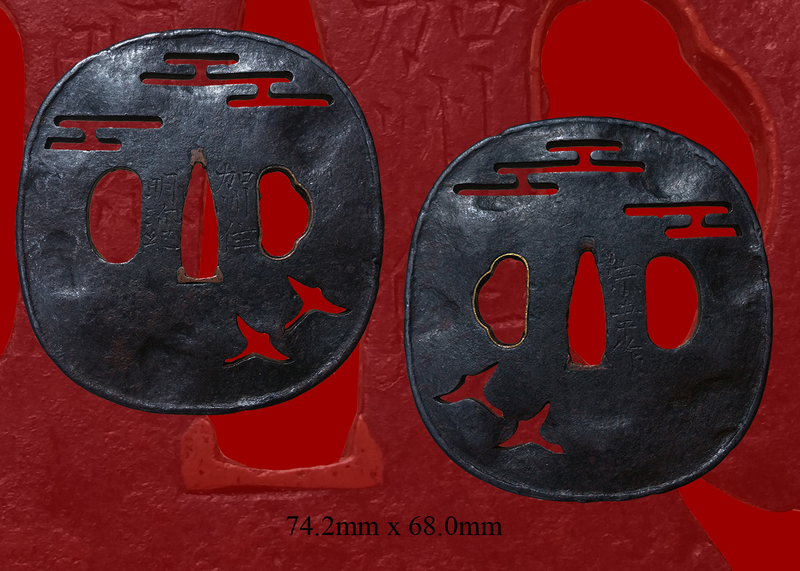 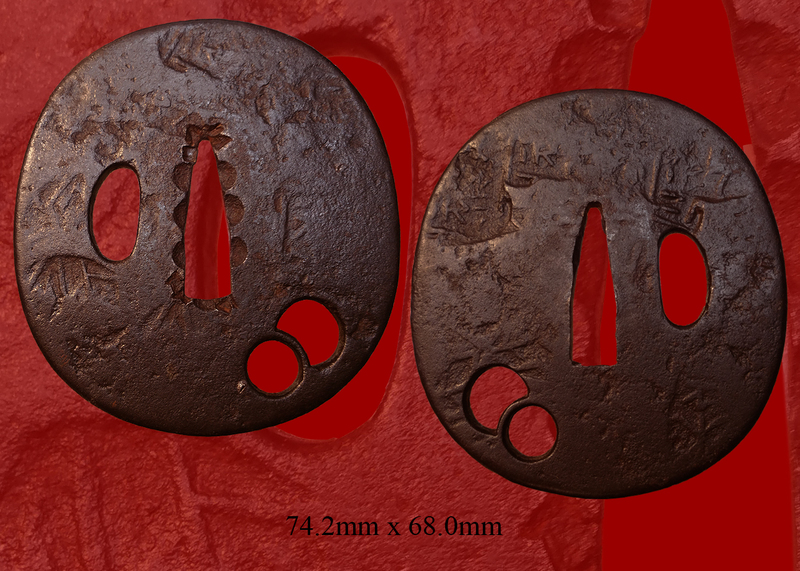 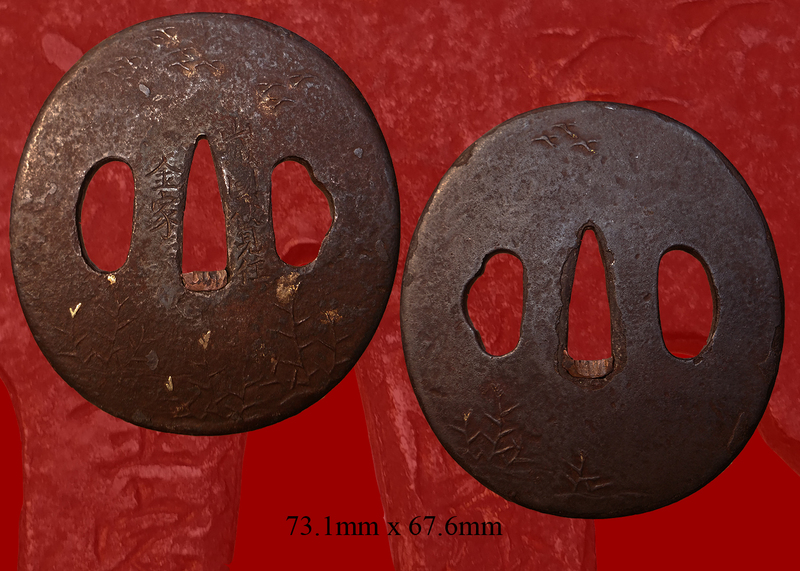 Copper finished Habaki collar, preserved in Shirasaya, a plain wood mounting. 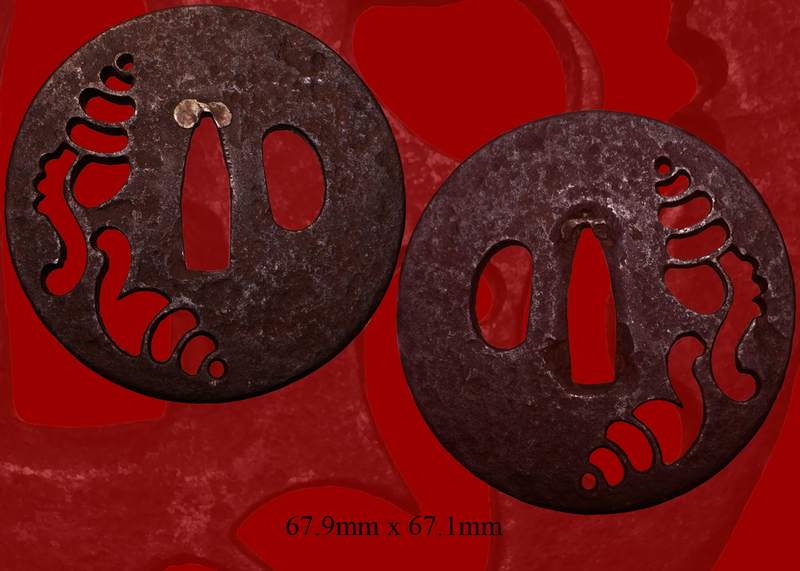 Good old polish/Condition scale: good (using a scale of mint-excellent-very good-good-fair-poor). 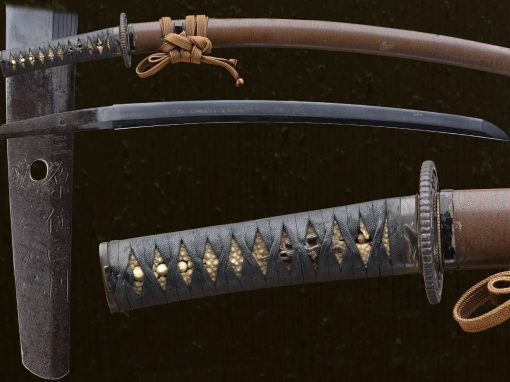 This blade would be a stunner in a fresh new polish. 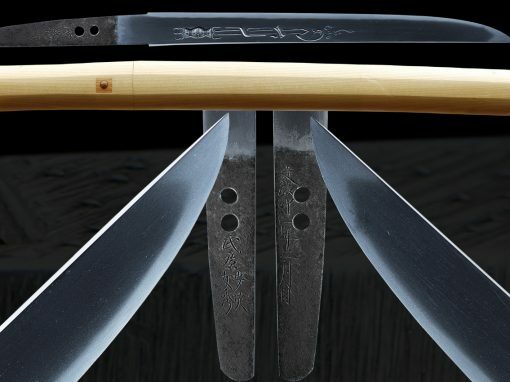 Mei: HIGO NO KAMI HATA MITSUYO” and stating that this was made with Nanbam tetsu. 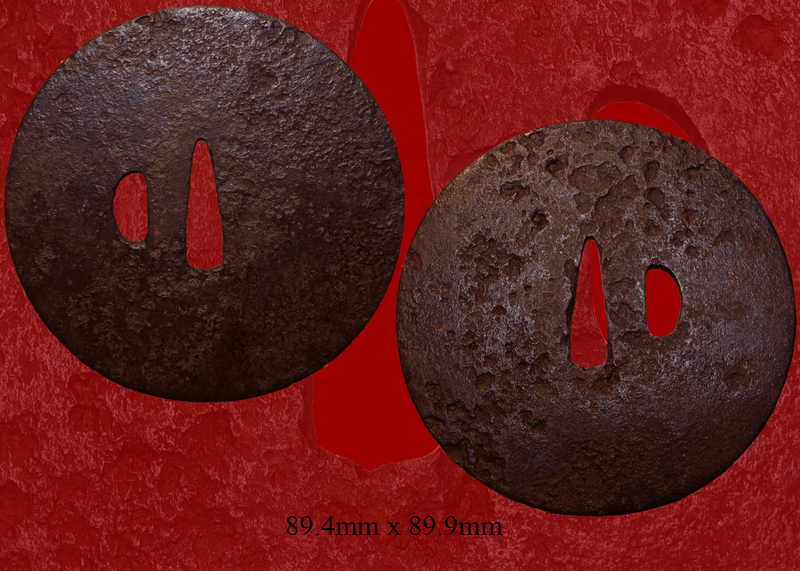 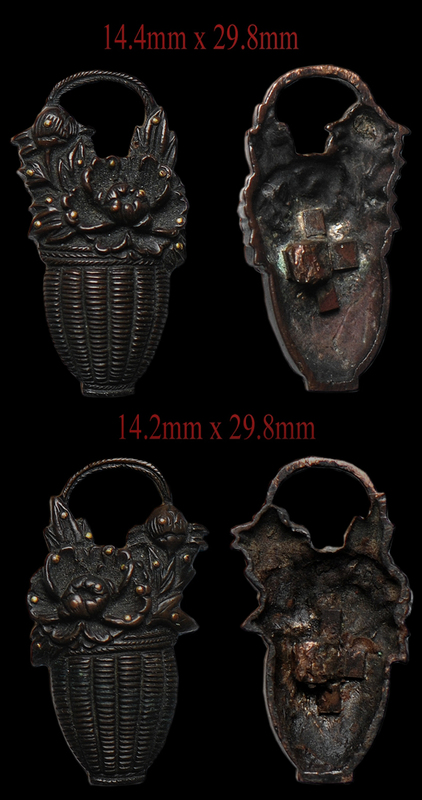 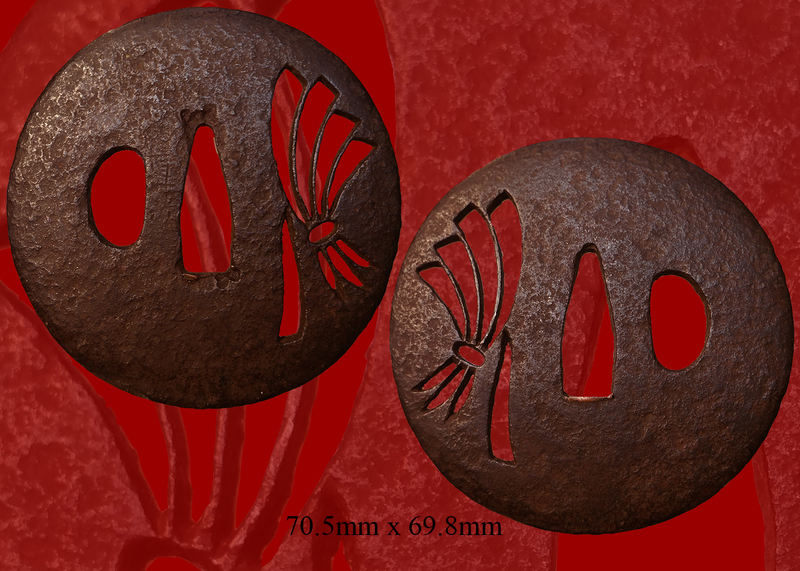 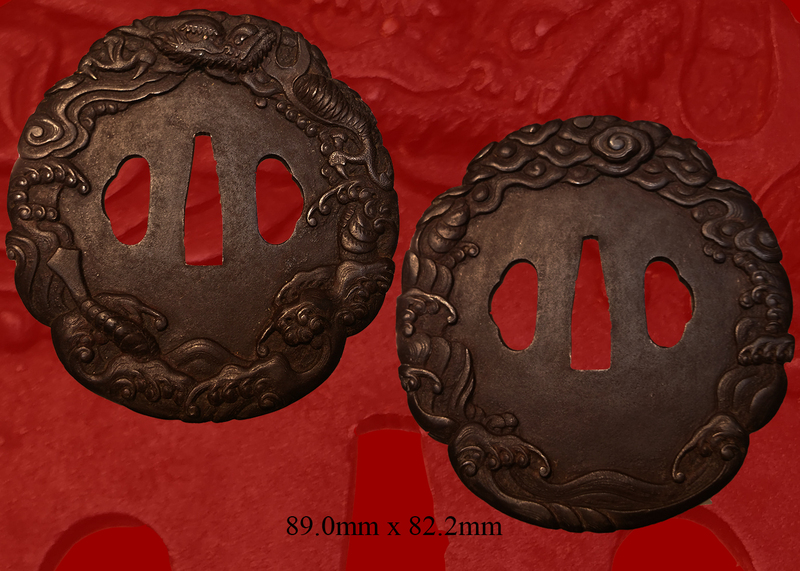 Email us if your interested in this item and remember to include the order number for this item: fss-784.